In today’s competitive world, time of people and machines in a process is of high value. Hence, every company is trying to optimize its operation to ensure higher productivity and efficiency. Continuous incremental changes that happen due to learning on shop floor, automation and product improvements are drivers of optimization of resources and elimination of wasteful activities. Time and motion studies are keys to make your company’s operations competitive so that employee productivity and performance can be sustained over operational changes. Time study establishes standard times, while motion study identifies work improvements. These two techniques are fused together and applied to bring corrections in process, and upgrading work systems. Whether you are a service centre or dealership, or whether it is a refurbishment task or a service, time and motions techniques can be scientifically employed to arrive at a define rate and use this as a benchmark to assess throughput. Using outcomes of Time and motion studies, companies can rightly assess their output driven contracts, in say mining and service operations. You could employ time and motion studies for new products or redeployment scenario’s including remanufacturing or when applying value engineering for an existing product or system. You could use the techniques to assess excess manpower, value stream mapping, and workload assessment, and process and methods improvement, work simplification, identifying efficiency gaps and suggest improvements. Quest’s experienced engineers would carefully record time to perform a specific job or its element under specified conditions to arrive at the necessary time for an operator to carry out the task at a defined rate of performance. Quest engineers use Maynard Operations Sequence Techniques (MOST) and other approaches to break down a task into individual motion elements and allowances to arrive at standard time. Clients using Time and Motion studies benefit from improvising productivity by 10-15% or even more, reduce waste and wasteful practices, optimize resource utilization, identify skill gaps and training needs, and finally, build an employee engagement approach by enhancing ergonomic as well as process centric improvements . 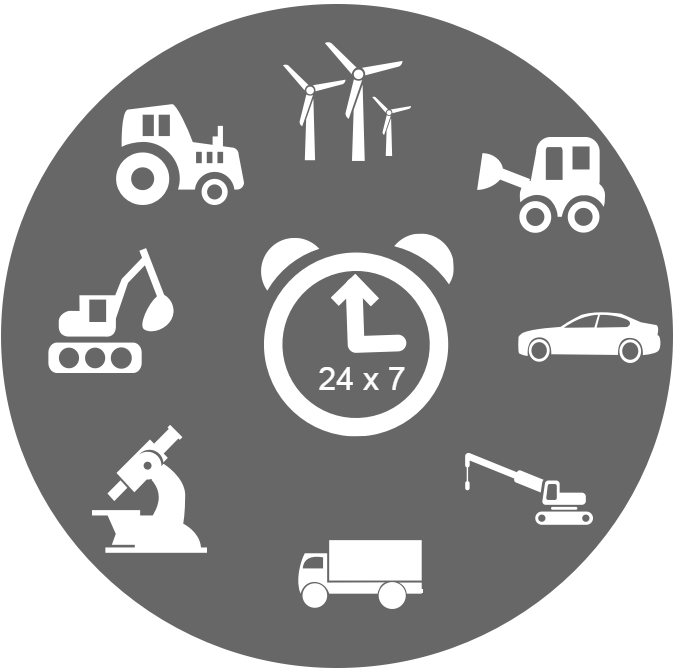 Recent UPS research, conducted by IDC Manufacturing Insights, has reported that one-third of midsize industrial machinery manufacturers are getting up to 75% of their profitability from parts, service and consumables. 78 percent of manufacturers said that their customers’ expectations for after-sales services are rising, but just 12 percent manufacturers say replacement parts and service are top differentiators for their business. In the remaining 88% of manufacturers, 45% of manufacturers believe machine (product) performance and 43% believe machine quality is their top most business differentiator. It is a known fact that, machine/product performance also greatly depends on Aftermarket services. The research indicates that while manufacturers focus on developing and deploying new machinery, the buyers of industrial machines are increasingly seeking after-sales support to maintain the complex machinery for optimal productivity. “Industrial machinery manufacturers are in a challenging situation. Their pipeline depends on developing new products, yet over one-third says that 50 to 75 percent of their profitability comes from after-sales service. For many, enhancing service after the sale could be a way to differentiate from the competition and offer potential for revenue growth”, says Brian Littlefield, UPS director of industrial manufacturing and distribution. 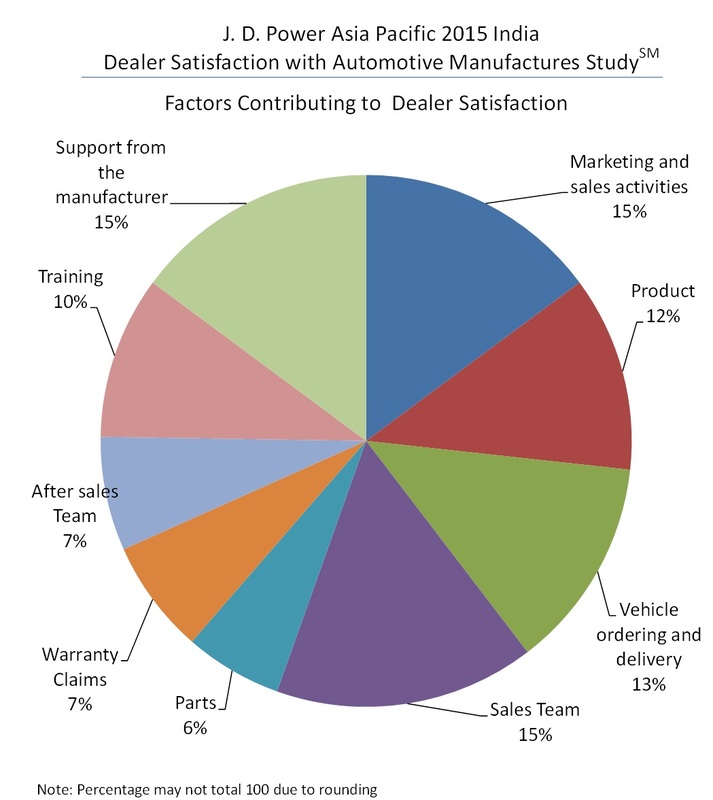 This survey also reaffirms the fact that, sales is a transaction and Aftermarket/After Sales is a relationship. 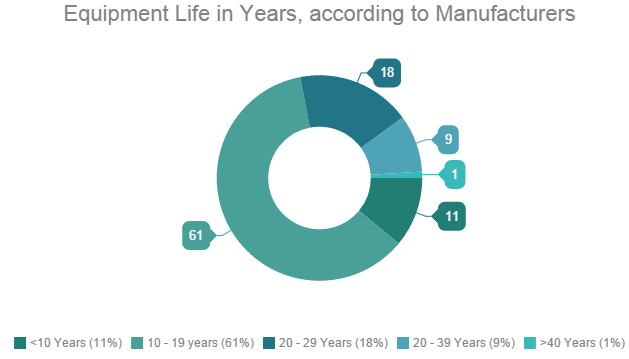 61% of the manufacturers have said that, their machines average lifetime is 10 to 19 years. If they approach After Sales rightly, they can get perennial revenue throughout the lifecycle of the product. Offering an enhanced level of aftersales support is not easy as majority of manufa cturers surveyed sell broadly across multiple industry segments (64%); from multiple facilities(68% sell from 2 – 9 locations);to locations around the world (48% sales from outside North America). Survey also throws light on typical response time taken by manufacturers to respond to a new parts or machine repair requests from their customers. Majority of manufacturers (60%) admitted that, on an average they take 2-3 days of response time for service requests. Given the potential for significant lost productivity and revenue, that 72 hour window is likely unacceptable. Downtime creates lasting memories and anything less than immediate service can dim the prospects for loyalty and repeat sale. The results are based on a March 2015 survey of U.S.-based industrial machinery providers with a global customer base and between $10 million and $50 million in annual revenue. All survey participants said more than half of their business was in North America, with the remaining divided evenly between South America, Europe and Asia. A small percentage of business was located in the Middle East and Africa. Quest Informatics is an Aftermarket IT product and services specialist company having more than two decades of experience in supporting Fortune Global 500 Companies. Quest Informatics was awarded as the Aftermarket Brand of the Year-2014, by Silicon India. India is the 3rd largest electricity producing country in the World, with installed power generation capacity of 249,488.31 MW. But daily generation is only to the tune of 135,000 MW and India’s per capita power sector consumption is around 940 kWh, which is among the lowest in the World ( global average 3000 kWh). On the other hand, power demand is steadily on the rise in India, as it is getting more urbanized and industrialized. To tide over huge gap in supply and demand, industrial and commercial establishments continue to depend on generators and captive power plants for their power needs. ‘The big deterrence for industries in India is lack of optimal basic infrastructure. For example, we’ve our own captive power plant in our Bengaluru facility’, said Ms. Kiran Mazumdar Shaw, MD Biocon, in a recent interview. Power shortages cost India’s GDP to about USD 68 billion. Industries investment on power backup arrangements will continue to rise and they will choose power backup products which are more reliable than just being economical. Out of the three factors above, the last two belongs to the Aftermarket space. Most of the manufacturers produce the same quality generators and commit the same performance from them. 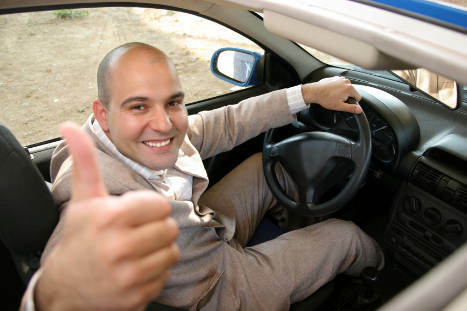 But, their differentiation is by the quality of their Aftermarket services. Manufacturers having an upright Aftermarket services are the clear winners. IT systems are available which can keep track on all the operations and alert the customers or manufacturers when they are due. It is generally a good idea to establish and adhere to a schedule of maintenance and service based on the specific power application and the severity of the environment. For example, if the generator set will be used frequently or subjected to extreme operating conditions, the recommended service intervals should be reduced in systems accordingly. Shorter TATs can be ensured only when customers are able to register the complaint with the manufacturer quickly and then by manufacturer sending the nearest right technician with right tools to address complaints. Manufacturers need to have simpler systems in place for customers to register complaints quickly and a complaint registration acknowledgement should be sent to customers swiftly, even before customer hangs up their phone. Manufacturers should also have systems to capture service history and operational hours of generators, using which it will be easier to predict type of complaint and then send nearest right technician with right tools. Delivering good Aftermarket services will enhance customer satisfaction and support in establishing credibility, along with perennial profit by parts sale and service throughout the life cycle of generators. IT Systems can also help in preventing warranty leakages and a sustained goodwill in the market will lead to more repurchases from the customers. 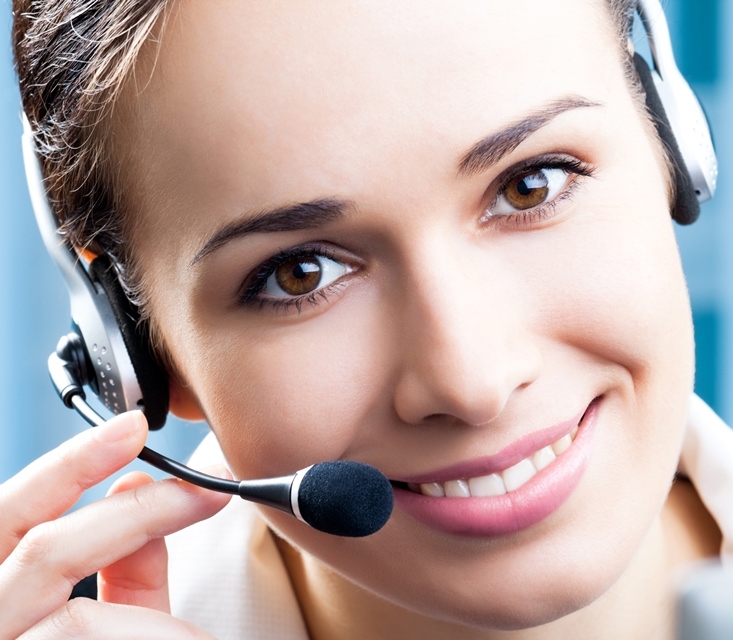 India’s leading automaker now boasts of 24×7 parts help line, with 24 hours resolution call closure at 90%. But not long before, it was a different story. Call closure stood at 42%. For the first time ever, PHL domestic business’ pending calls were bought to its lowest, with all calls pending with other department, meaning work-in-progress (WIP) calls were ZERO! For the first time ever, PHL’s 24 hours resolution call closure reached 90%! Quest Informatics is an Aftermarket IT product and services specialist company. Quest has more than two decades of experience in supporting Fortune Global 500 Companies. It was awarded as the Aftermarket Brand of the Year-2014.